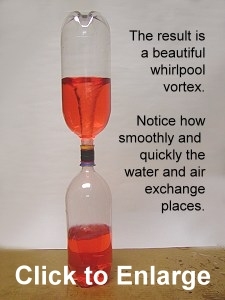 How to build your own whirlpool in a bottle! 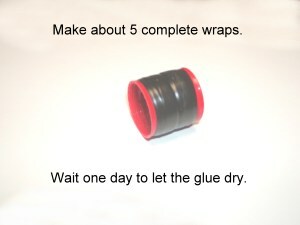 This device is also available in some toy stores known as a tornado tube, but we think it is more fun to make it with common materials on hand. 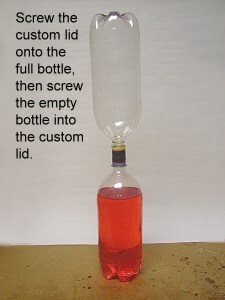 2 empty clear 2-liter pop bottles and lids. 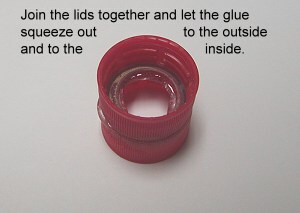 Remove the labels on the pop bottles so you can see into them more easily. You can run hot water over the gummy residue and scrape it off with the edge of a knife. You should only do the next step if you are familiar with how to operate an electric drill safely. If not, ask someone else to do it for you. 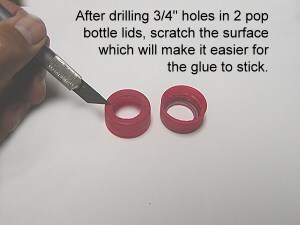 Drill a 3/4" hole in the middle of each lid. A "spade bit" for wood works best, but a regular spiral bit will also work. 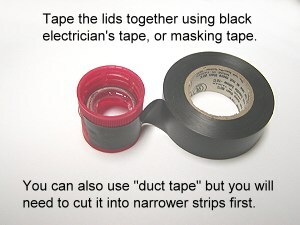 Make sure the hole is as close to the exact middle as possible, but it doesn't need to be perfect. You will see a red liquid in the next picture. This is just water with a little red food coloring to make it easy to see in the picture. 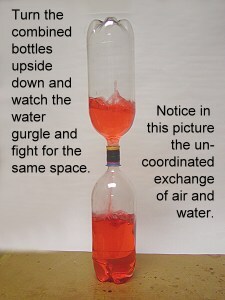 You can use ordinary tap water for this experiment. 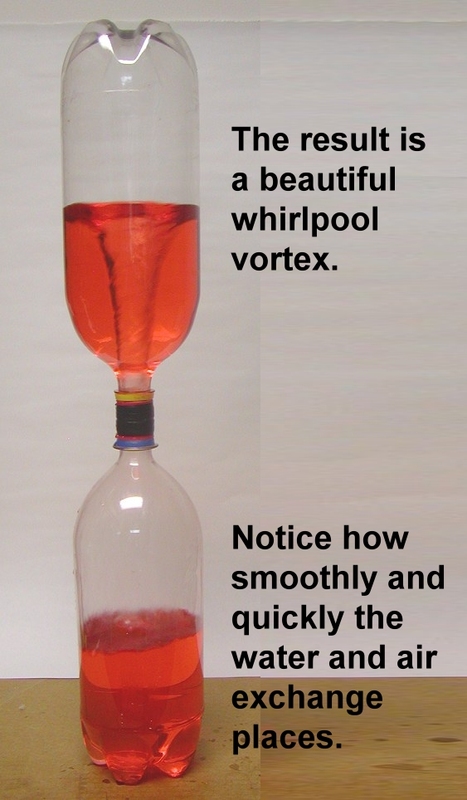 With this whirlpool-in-a bottle device, you can experiment over and over without having to refill the bottle. 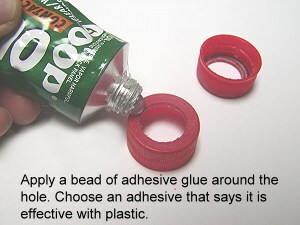 You can liven up the experiment by adding small particles of anything that floats such as little styrofoam particles from packing material, or something as simple as saw dust. 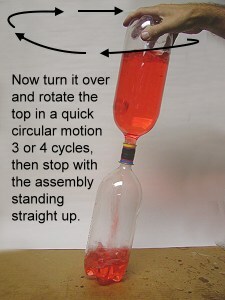 This allows you to see the centrifugal force on the particles more easily.